"Chris Wray SHOULD have fired McCabe. Wray didn't say anything... It tells you he is a coward"
The Lie Stream cannot do ANYTHING Honestly! She was Big Time DRUGGED ! Was washed up pornstar Stormy Daniels high on drugs for her highly anticipated ’60 Minutes’ interview? Twitter couldn’t help but notice Daniels’ dilated pupils. Later came the accusations of drug use. “Health reporter tweet here. Why are Stormy Daniels’ pupils so dilated in that bright room? AC’s aren’t. Ok carry on,” St. Louis Post-Dispatch health and science reporter Blythe Bernhard asked. “Off topic- but Stormy Daniels’ pupils look completely dilated,” noted WGN Morning News anchor Lauren Jiggetts. 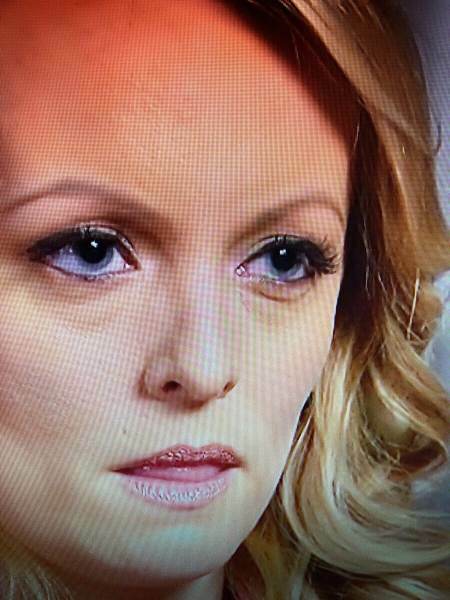 “#StormyDaniels has giant pupils,” tweeted Fox 26 reporter Mike Iscovitz. Wow! What a treasure chest, Softlywinged! Do you still look in here from time-to-time? Doing well, thanks for asking. I haven't been here for some time now...not quite sure unless it was because no one seemed to want to contribute but you and I. Is this the "last ditch" dragnet fling before Mueller himself is investigated? Q_Anon is real, says Jerome Corsi, and he knows who it is. This is the End of Mueller's career. He is a disgrace." In September--after the mullahs are gone--Trump will have the giant showdown with the swamp. Where do were really need REGIME CHANGE? Corsi: "It's going to wind up with Military Tribunals and indictments for Obama and Hillary"
"Q's been saying Mueller is out of gas." "Mueller and Rosenstein need to worry about the cover-up they did on Uranium one bribery"
The truth seems to be that hate speech is anything that will make these idiots uncomfortable. 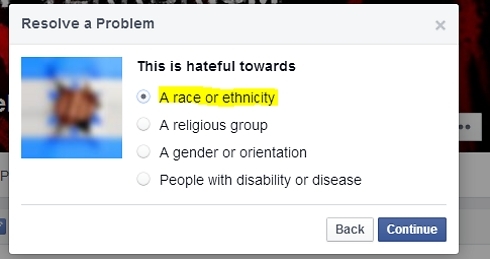 If Zuck was honest, we would talk about his CIA connections. He's on the wrong page when he talks about Fake News & Hate Speech. His idea of real news is CIA Lies. His idea of Hate Speech is probably ALLOWED by the 1st Amendment. Almost No one cares about hurting the feelings of 20-something SJW's. Zuck Gutted like a Fish here... But much more work needs to be done. Trump's counter-attack has begun ! "The criminals are no longer safe"
"There is NO ACCIDENT that this came just as Comey's book came out... It's part of a Plan." "We also have John Huber working on criminal cases." 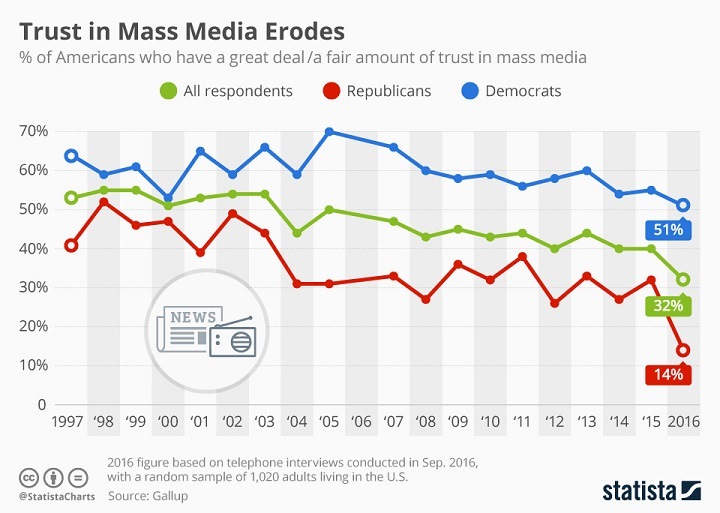 WASHINGTON (AP) — Trust in the news media is being eroded by perceptions of inaccuracy and bias, fueled in part by Americans' skepticism about what they read on social media. 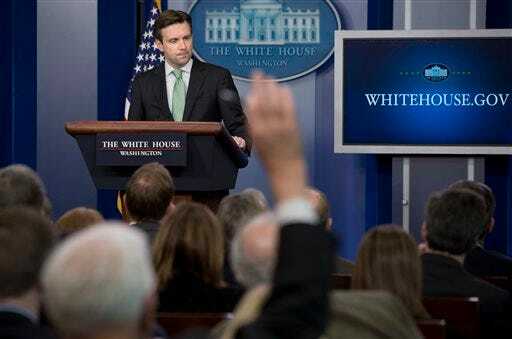 White House press secretary Josh Earnest takes questions during the daily briefing at the White House in Washington. Just 6 percent of people say they have a lot of confidence in the media, putting the news industry about equal to Congress and well below the public's view of other institutions. In this presidential campaign year, Democrats were more likely to trust the news media than Republicans or independents.
. . . A majority of people get news from social media, most frequently by far from Facebook. "Facebook is the place where everyone is, and so you're not necessarily looking for news, but you're getting it," Rosenstiel. I cannot seem to find an update - maybe Gallop stopped publishing the polls when Trust collapsed. CRIMINAL REFERRAL for Comey ! So funny, the Democrats have sued the Republicans for Winning. Now he R’s counter and force them to turn over a treasure trove of material, including Servers and Emails! "The Liberals have no idea how stupid Tom Perez is. The DNC has opened up DISCOVERY." Levin: "I am telling you: THIS IS A GOLD MINE!" "I am strongly recommending to everyone to use this as a chance to defend themselves, with vigorous litigation!" Deep staters are (finally!) learning an important Lesson. JW: Congressman Jim Jordan's Remarks on "The Deep State"
"I thought that Clapper was the guy who orchestrated the entire thing"
How it worked -- "the biggest round-about Circle thing I have ever seen"
"Nothing frustrates the American people more than the double standard"
"It is supposed to be equal treatment under law for everyone"
JW: "the meeting that Comey had with Trump was orchestrated in the WH"
"Obama role in orchestrating the dossier needs to be investigated"
"What is going on with Black People in this Country?" "What is happening... is a Mass system of propaganda"
"Charlie and I are GOING TO CRACK THE BLACK VOTE!" Charlie Kirk & Candace Owens Full Speech at Connect the Dot's, "Saving California"
"My mother is on welfare. My entire family is on welfare." 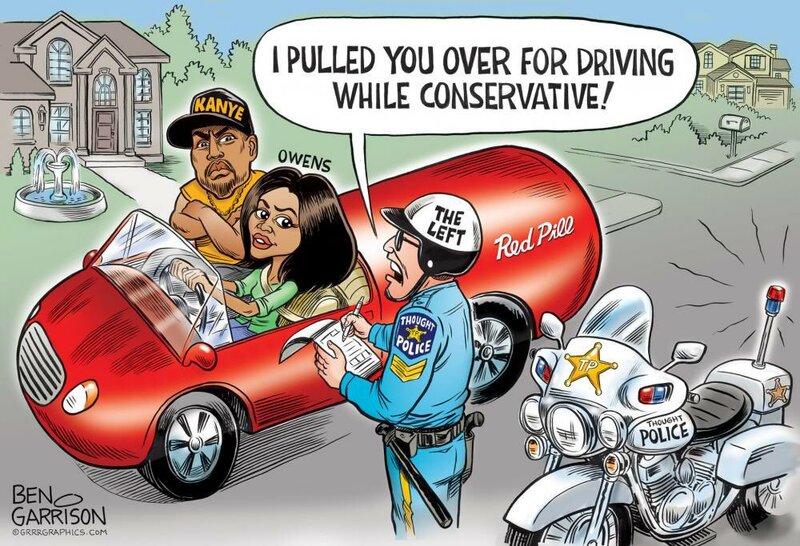 "If you want to control people, the first thing you need to do is breakdown the Family"
"95% of Blacks are voting for Democrats. That means that 95% of people do not have our product."